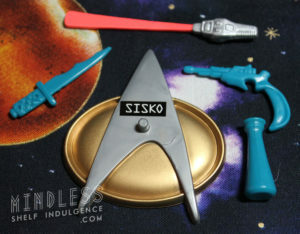 “Mirror” Sisko is accompanied by dark aqua accessories (including a Klingon pistol) and a blank “Sisko” Starfleet base. 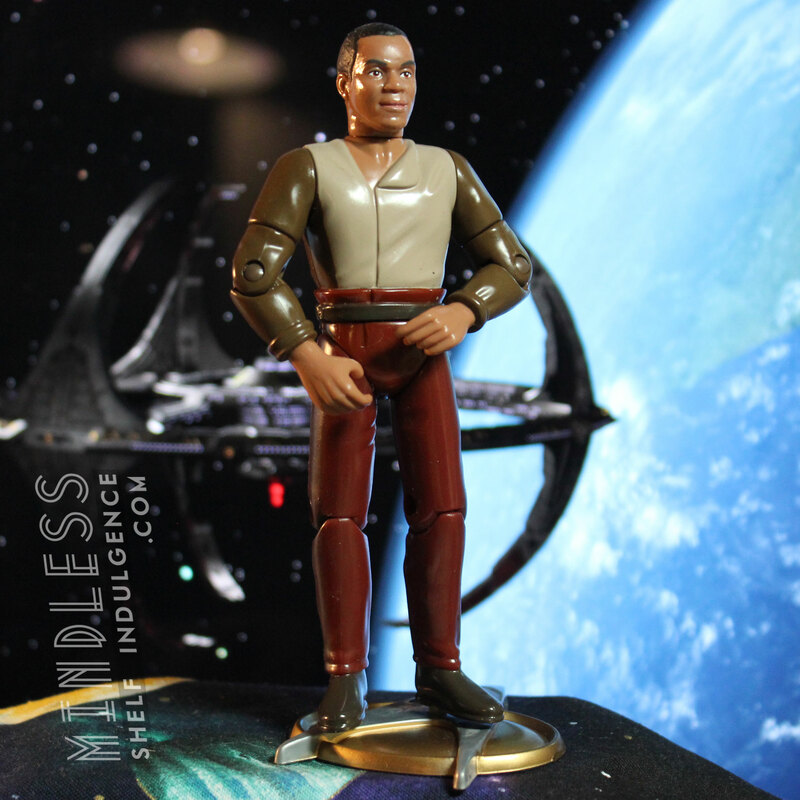 This Deep Space Nine episode involved the Mirror Universe; it’s unclear if this is actual Ben Sisko or “evil” Ben Sisko. 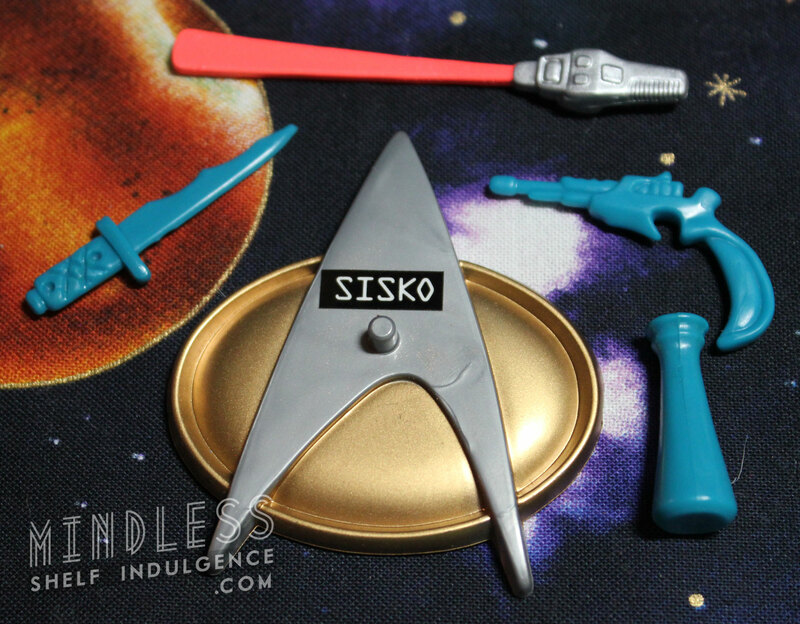 Curiously, the only person who doesn’t seem to be any different in the Mirror Universe is Quark.